Our programs include full practitioner support throughout, informative Emed detox booklet and newsletters, recommended food lists and healthy detox recipes, high-quality practitioner products to support the detoxification process and more! Due to modern diets, high daily stresses, toxic chemical exposure and the increase in incidence of chronic degenerative diseases, our bodies are becoming increasingly ‘clogged’ with chemicals that we are unable to dispel through normal detoxification processes. A detox or cleanse works by giving your body a break from the toxic excesses that our lives create, and nourishing it with nutritional and herbal support to allow the full recovery of bodily tissues and organs. It is not about deprivation, starvation or misery! Combining detoxification supplements with a healthy eating plan and regular exercise is the ultimate way to free yourself from toxins and regenerate your body from the inside out. If you answer yes to one or more of the following questions, it is likely that your body is crying out for a detox. Do you experience any digestive symptoms such as bloating, indigestion, gas or abdominal discomfort? Do you experience nausea or indigestion after eating high-fat foods? Do you experience constipation, diarrhoea or alternating bowel habits? Have your stools changed in colour or smell, or contain mucus or undigested food? Do you experience any allergies such as skin rashes, sinusitis or hayfever? Do particular foods cause reactions such as asthma, hives, itchy eyes/ears/throat/ skin, nasal congestion or mucus discharge, post-nasal drip, headaches or tiredness? Do you have dull, dry or itchy skin or conditions like acne, psoriasis or eczema? Do you increasingly feel tired, fatigued or constantly suffer from infections? Are you experiencing general body aches and pains? Are you experiencing mood changes, have difficulty remembering things or suffer from headaches and migraines? Are you experiencing reproductive or fertility issues? Do you have menstrual irregularities or conditions such as PCOS, endometriosis or uterine fibroids? Do you experience PMS (e.g. food cravings, fluid retention, irritability, breast tenderness)? Do you have any symptoms of heavy metal exposure such as nausea, vomiting, diarrhoea, loss of appetite, garlic breath, metallic taste, irritability, fatigue, poor short- term memory, tremors and kidney dysfunction? Are you currently on, or have recently taken, a course of antibiotics or other prescription medication? Are you under any emotional, mental or physical stress? Do you regularly consume alcohol and/or coffee? Are you a regular smoker or take recreational drugs? Please Note: Detox programs are not suitable during pregnancy or while breastfeeding. What Can You Expect From A Detox? At the beginning of your detox you may experience some detox symptoms such as fatigue, headaches, slight digestive upset or a ‘foggy’ mind. These symptoms are usually related to caffeine and sugar withdrawal, or sometimes the release of toxins from your cells. However, these symptoms usually subside after a few days and after you detox, you will feel cleaner and more clear both physically and mentally. You are likely to experience better energy levels, good-quality sleep, less junk-food cravings, improved digestion, possible weight-loss, clearer skin and an enhanced ability to think and function during the day. Detoxing will also allow your body to become more efficient at eliminating wastes – something that will benefit you long into the future. Getting involved in a detox program is a great way to help you to adopt healthier eating and lifestyle habits for long term wellbeing, weight loss and disease prevention. Optimally, everyone should undertake a comprehensive cleanse at least once or twice yearly to maintain good health. However, some people are unable to do this due to time or lifestyle constraints. If this sounds like you, why not start with an Express Detox? This two week detox program helps to cleanse the body at a cellular level, supporting all organs of detoxification and providing nutrients and probiotics for ongoing digestive and liver health. If you want to commit to a more thorough whole-body cleanse with a particular focus on digestive health then the Complete 6 week Cleanse is for you! 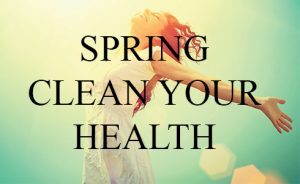 This cleanse supports you through the steps of removing harmful bacteria and infectious organisms from the gut, replenishing digestive health with beneficial bacteria and nutrients, supports all stages of detoxification and elimination and even helps to draw toxins and heavy metals from the body. Gastrointestinal and Kidney Detoxification Support – a combination of herbs and nutrients to help protect the integrity of the digestive tract, promote bowel movement and assist in detoxification processes. Phytonutrients For Detoxification – a potent supplement combining therapeutic herbal and vegetable extracts designed to support detoxification pathways and promote general wellbeing. This supplement may also assist with reducing oxidative stress and inflammation in the body caused by a high toxic burden. High Potency Probiotic Capsules with Colostrum – this probiotic supplement contains a proprietary blend of beneficial bacteria, ideal for every day use to enhance gut health and digestive function, immune defences and general wellbeing. Stage 1: Products recommended during this 2 week stage are aimed towards removing harmful bacteria, organisms and waste from the digestive system. This helps to reduce the amount of toxins reabsorbed into the body via the gut and reduces damage to the lining of the digestive system. It is also important to start making dietary and lifestyle changes throughout this stage to reduce your exposure to both environmental and endogenously produced toxins. Stage 2: This stage of the detox is aimed towards alkalising the body and supporting all organs of detoxification and elimination, particularly the kidneys and digestive system. Probiotics are included in the stage to help to replace harmful gut bacteria with healthy bacteria and continue to improve the health of the digestive tract. Stage 3: This final 2-week stage of the Comprehensive Cleanse provides you with specific nutrients and herbs support to enhance liver detoxification and protect body tissues throughout the process of liberating and eliminating stored toxins. The supplements recommended also assist with the reduction of inflammation and oxidative stress in the body to further enable healing and improve overall wellbeing. Hair Mineral Analysis prior to detox to help identify pre-existing mineral imbalances and heavy metal toxicities. Test results assist with directing detox treatment for a more individualised approach based on your health needs. This test is particularly useful for people who are exposed to toxins occupationally or through lifestyle factors, suffer from infertility, mood disorders, chronic fatigue or chronic diseases. IgG Food Allergy Test prior to detox to determine particular foods you may need to eliminate or avoid throughout and following the detox program. This test is recommended for people who have struggled with ongoing digestive problems or suffer from allergic conditions such as asthma, eczema, sinusitis, hay fever. pH ion test strips can be used throughout your detox to monitor the levels of acidity in your body. Often, when your system is toxically encumbered or you suffer from any inflammatory diseases, the acidity of your body is increased giving rise to further health problems. Detoxifying and alkalising your system is greatly beneficial to cellular health and overall wellbeing. To read more about acid/alkaline balancing and health, click here. After the excesses of Christmas and New Year, many of us are tempted to ‘detox’ to get back on track and clean ourselves up. Thanks to lemon concoctions and extreme dieting regimes, detoxing has become a topic of much debate. A lot of us would associate ‘detoxing’ with starving ourselves for a week to achieve a ‘cleaner’ body. Read on to find out more about how to detox the healthy way and to download your free copy of the exclusive Emed Detoxification E-Book. So don’t let the word ‘detox’ scare you off! Start the New Year in a healthy way and see how good you can feel and look! The key to successful detoxification and maintenance of good health is to exercise regularly. Regular exercise helps enhance your body’s elimination channels and increases their effectiveness by stimulating bowel movements, increasing perspiration, and increasing circulation of lymph and blood which all works together to remove toxins and waste from your body. Choose something you enjoy, in the knowledge that that regular exercise will help you look and feel better and ensure that your body has the elements it needs to detox and heal itself naturally.